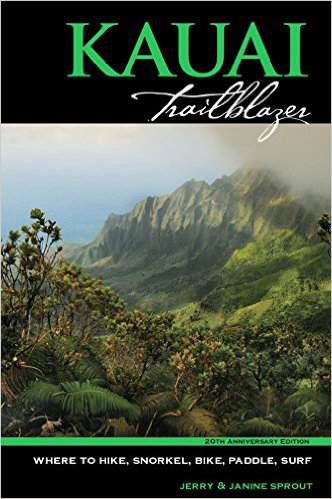 All the Islands have lush pockets, but Kauai—the farthest north and by far the oldest—is entirely a green landscape, with jungled ridges cleaved by streams that open to verdant fields. 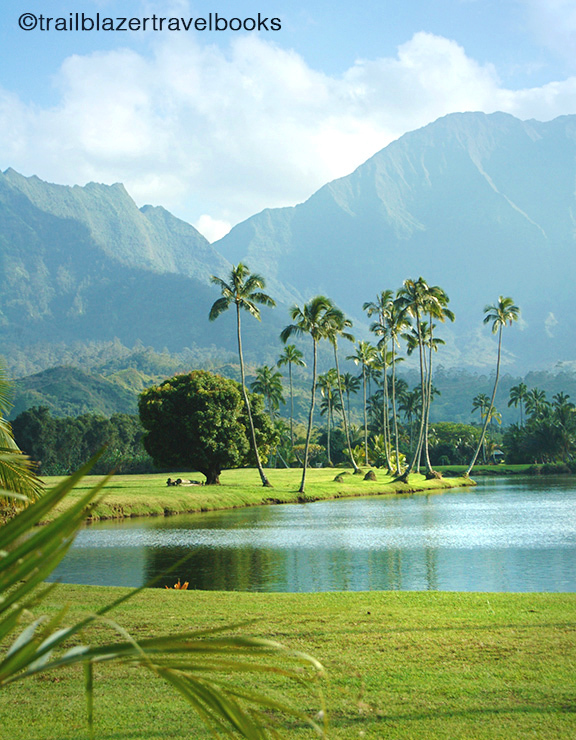 This vista of Hanalei Valley is from quiet Hanalei Organic Park in Princeville (not the overlook that gets jammed with visitors). 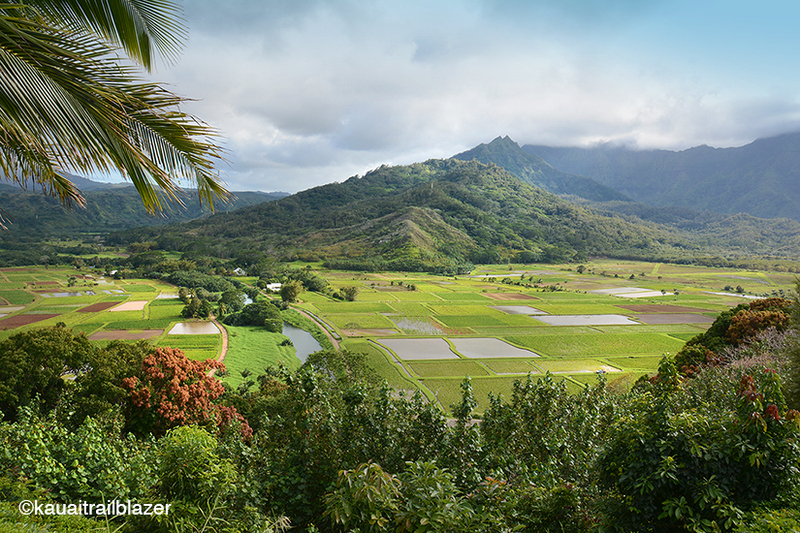 Hanalei Valley, much of it part of the Hanalei National Wildlife Refuge, is the largest taro field in Hawaii. 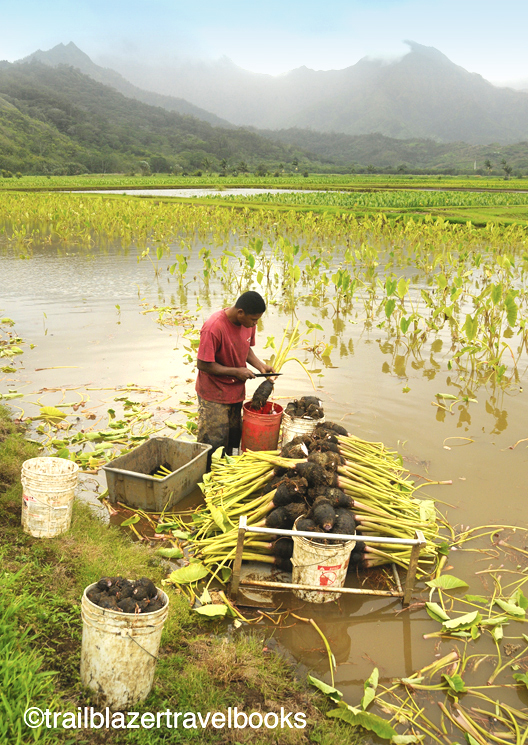 Taro was one of the 23 plants brought from Polynesia in ancient times and its roots are used to make a mush called poi. Most tourists wrinkle their noses at poi. Try taro chips. 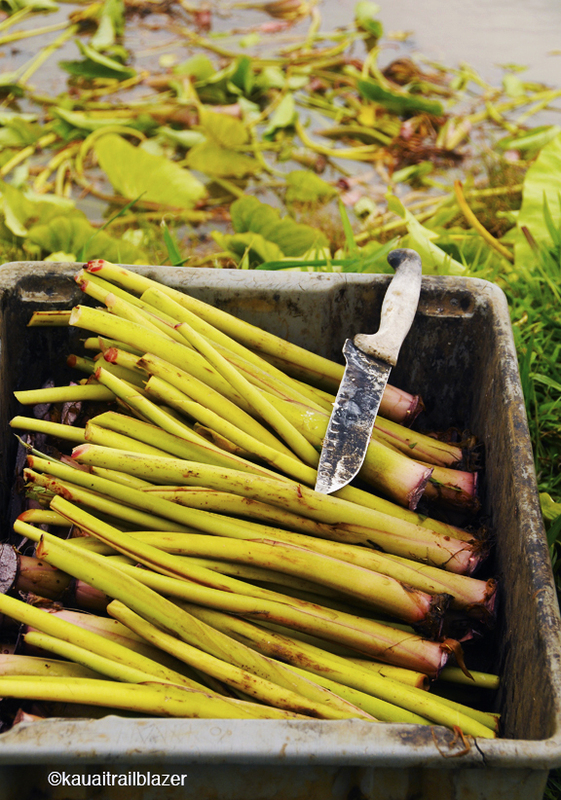 Taro leaf stems are also steamed and eaten as a side dish. 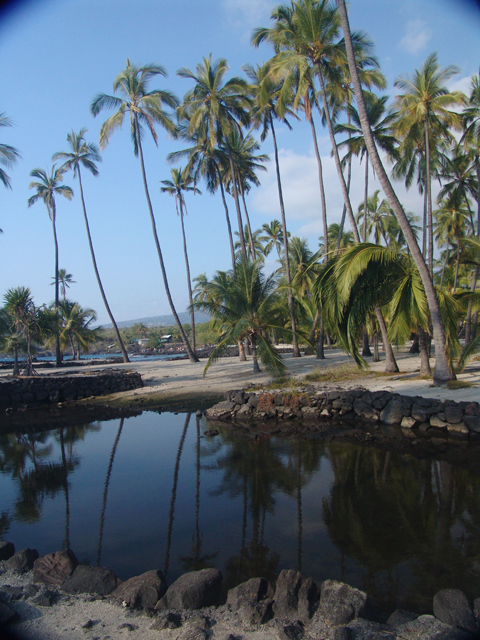 The Hanalei River opens to sprawling lagoons where it reaches the ocean at Black Pot Beach on Hanalei Bay. You can’t get closer to heaven in this life. 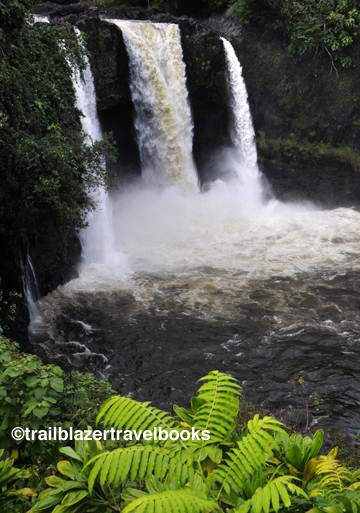 Kauai Trailblazer has directions to the serene spots on the north shore that are not on the tourist radar.